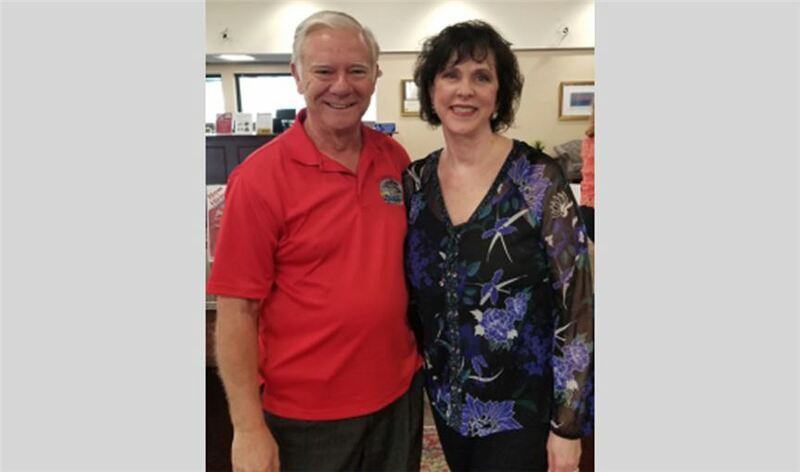 Pictured from left to right: Rockport Mayor Charles J Wax and IBC Bank-Corpus Christi Board Member, Susie Black. Mayor Wax and Susie Black attended IBC Bank-Corpus Christi's reopening of the Rockport branch on Thursday, March 1. IBC Bank-Corpus Christi donated $2,500 each to 4 Rockport-area organizations. (MARCH 1, 2018) CORPUS CHRISTI, TEXAS - IBC Bank-Corpus Christi announced the official reopening of the Rockport branch following renovations from damage sustained during Hurricane Harvey. "While we're happy to be back, we are here for the community and committed to helping Rockport rebuild," said IBC Bank-Corpus Christi President and CEO Harold Shockley Jr. "The opening of the branch will enable us to assist local businesses get back on their feet." The Rockport branch is currently open during regular business hours. IBC Bank-Corpus Christi is a division of International Bancshares Corporation (NASDAQ: IBOC), a $12.2 billion multi-bank financial holding company headquartered in Laredo, Texas, with 193 facilities and more than 296 ATMs serving 88 communities in Texas and Oklahoma. In 2016, IBC celebrated its 50th anniversary since it opened its doors for business in 1966. IBC Bank's slogan "We Do More" reflects the bank's dedication to the growth and success of both the customers and the communities it serves. International Bancshares was ranked 19th on Forbes' prestigious list of 100 Best Banks in America in 2018. IBC Bank-Corpus Christi has been serving the Coastal Bend community since 1995 and has a retail branch network of nine locations. MEMBER FDIC / INTERNATIONAL BANCSHARES CORPORATION. Visit us on our YouTube channel, IBCBankWeDoMore. More information is available at ibc.com.